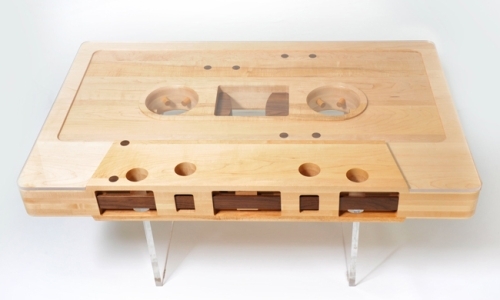 I love this table from Jeff Skierka designs. Its a beautiful piece made from maple and walnut. Even though the inside is somewhat hollow, at 5 inches thick, this table has to weigh a fair bit. 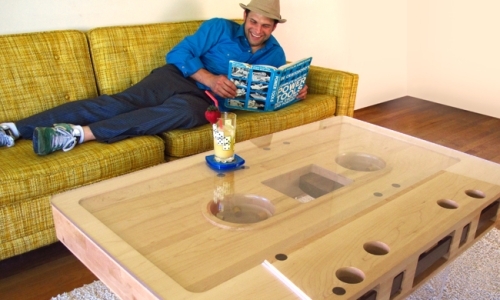 This coffee table is a 12:1 scaled replica of a cassette tape. 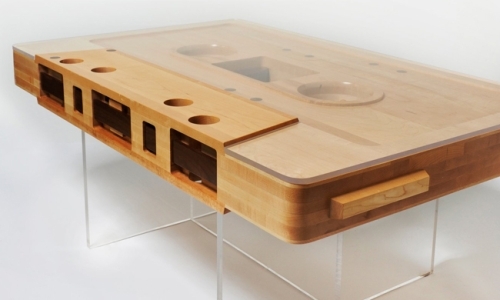 It is made of reclaimed maple, walnut and lucite. Dimensions are 47.25" x 30" x 5" with a 3/8" plexi top. 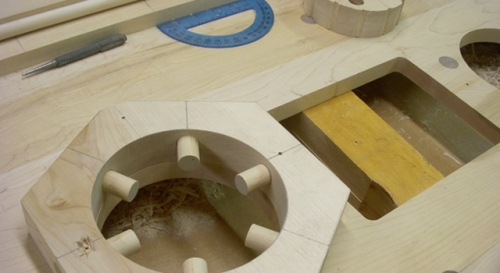 This is a first prototype and one of a kind table. 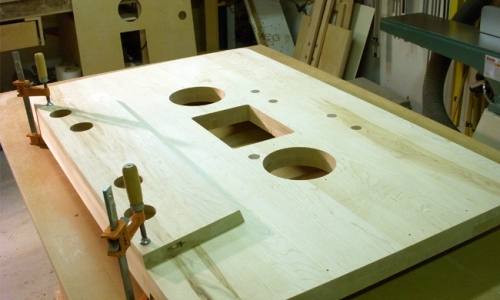 Future versions will be CNC machined out of high grade plywood with a variety of ply combinations and a glass top. This table has been an obsession of mine for 5 years! It is amazing to finally have it come to fruition. The table is completely reversible (sides A and B). 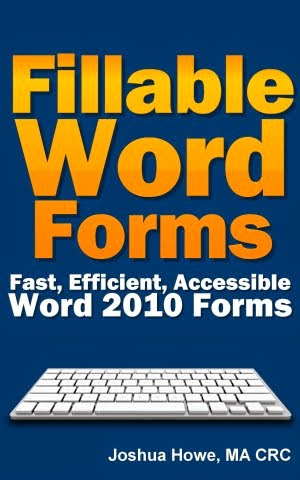 We are working to get this into production soon. Both plywood and handmade hardwood versions will be available. Visit his site to see more designs and get put on his mailing list. Want a Record Filled with Blood? Got $2500?